When a month kicks off with fireworks and ends with motorcycles flying through the air in front of City Hall, you know you’re in prime festival season. 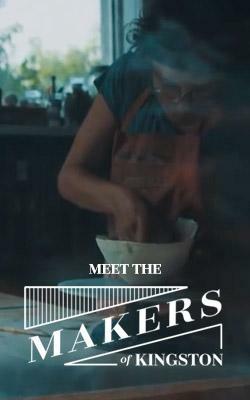 Especially when there’s an outdoor art showcase, a buskers rendezvous and a food fest peppered in between. 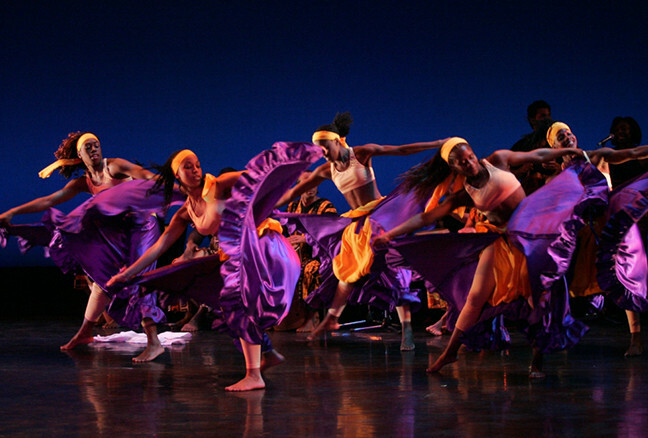 Here’s the lowdown on ten festivals you shouldn’t miss in Kingston this month. It’s fitting the first capital of Canada will host one of the most jam-packed Canada Days in the province. The day kicks off at 9 am with the annual Limestone Mile, a three-race running event for kids and adults that starts on King Street and ends at City Hall. 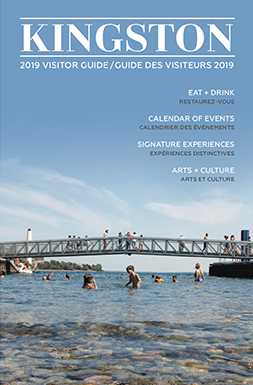 The Pan Am Games in Toronto are right around the corner (July 10 – 26), and there’s no better place to get in the spirit — in Kingston, at least — than at this free, four-day event. This celebration of Pan American music, dance, art, sport, history and community will feature everything from Caribbean pan drumming, to interactive workshops and demos in the Sports Zone, to Canada’s “Queen of R&B and Soul” Jully Black. 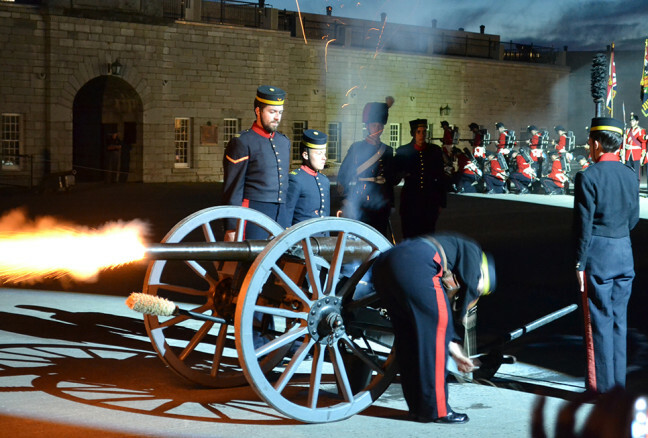 Plus: a special torch ceremony on July 2nd and free access to Fort Henry programming all four days. Now in its fourth year, Artfest, a free, all-ages outdoor event will feature more than 150 Canadian artists, plus live music, mural painting, children’s and adult art programming, international food, and new art projects. 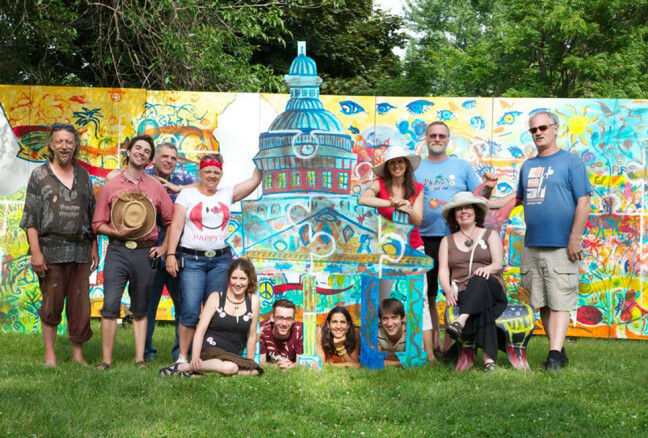 New features this year include the Easel Invasion, a chance for anyone to try painting under the guidance of an artist; Family Picnic Table, where families decorate a picnic table under the direction of artist Sabrina Parrish; and Poets @ Artfest, a series of live poetry readings throughout the weekend. One play, one night, one chance to represent Domino Theatre at the Eastern Ontario Drama League One Act Festival. That’s what’s at stake for playwrights Dylan Chenier, Sara Beck and Lyn McCauley at this 7th annual theatre festival. Each play has 10 minutes to set up and 5 minutes to tear down, and a panel of judges, with the help of the audience, will select one of the three short plays to move on. $20. Head downtown to the waterfront on the first Saturday of the month to help a good cause and avoid the most difficult part about eating out: deciding where to go. 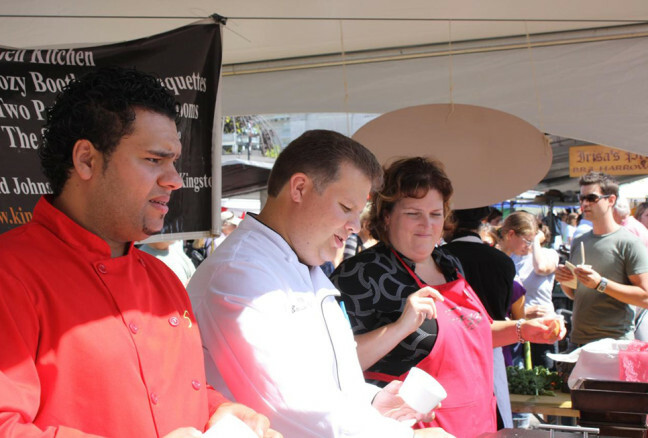 For 17 years now, Taste of Kingston has invited local restaurants to whip up $1 – $5 creations for visitors, donating all proceeds to the Boys and Girls Club or the Canadian Diabetes Association (this year’s recipient). The 2015 version will also feature live music, wrestling, improvised theatre, classic cars, a silent auction, a Kids Zone and more. The inaugural Kick & Push Festival is Kingston’s newest summer attraction! Six theatre companies are teaming up this summer in a collaborative effort to fill the downtown with exciting events that are unique to Kingston. Participating companies include Theatre Kingston, Blue Canoe Productions, Single Thread Theatre Company, the Cellar Door Project and special guests Fixt Point and Convergence Theatre. 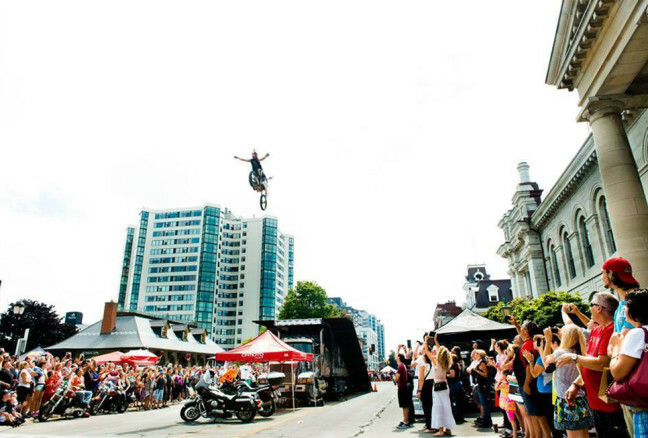 Knife jugglers, flame throwers, hapless clowns and every other type of street performer in between will descend on downtown for Buskers Rendezvous, one of the most anticipated festivals of the year. 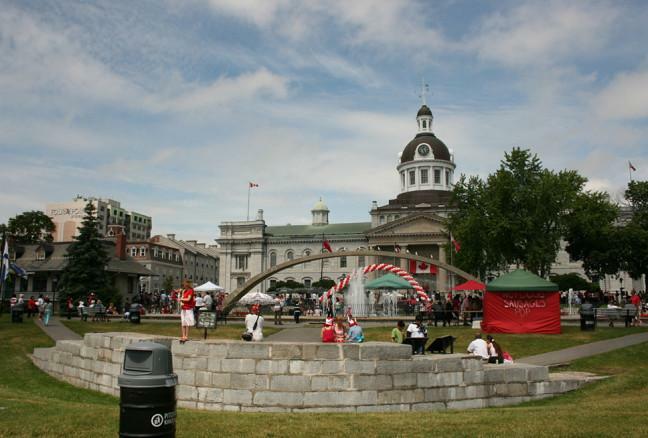 Most of the action takes place on Princess Street, Sydenham Street and Ontario Street, as well as in Market Square and Confederation Park. 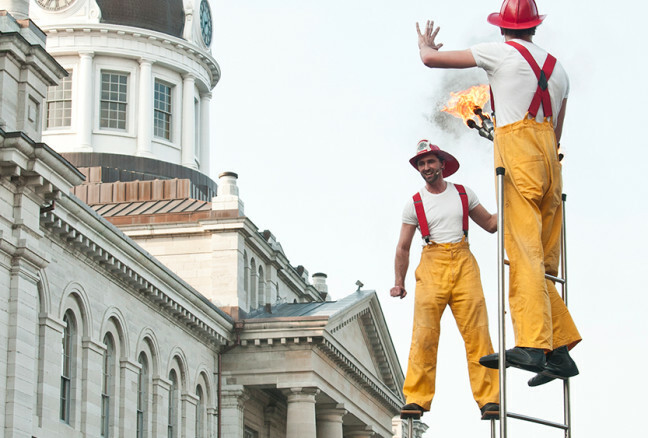 Don’t miss: the fire show on Saturday at 10 pm on Princess Street between Division and Barrie. Cost: donation per performance. Attention all motorcycle riders, enthusiasts and thrill-seekers: here’s the festival for you. All afternoon, you’ll be able to get up close to custom bikes on display, take in a variety of motorcycle shows (stunts, anyone? ), hear live music and chow down on delicious eats. This month’s festivals are so diverse there’s even one dedicated to genre fiction: the Limestone Genre Expo—the first of its kind in Kingston. Featuring guest authors, artists and publishers from Kingston, Toronto, Ottawa, Montreal and elsewhere, there will be panel discussions on science fiction, fantasy, horror, mystery and romance, as well as writing and business workshops, readings, and, of course, lots of books for sale. $20 online; $25 at the door. An outdoor drill and musical showcase in Fort Henry’s Parade Square that’ll have your heart pounding and your head ready for battle. Fife, brass, and pipe and drum bands will be on hand, including the Regimental Band of the Royal Hamilton Light Infantry, Fort Henry Guard Drums, Rob Roby Pipe Band and Highland Dancers, and Scantily Plaid, a Canadian Celtic rock roots band. It all culminates in a massed band grand finale with 250 performers and a fireworks display. $20 – $25. Kids 5 and under: free.